Hi Kitty, I LOVE red velvet cupcakes! I bet your grand daughters had a lot of fun making the cupcakes with you. Thanks for sharing this recipe with us at C&C with J&J! The red velvet cupcakes are so professional. Just lovely. Just think of all those sweet memories your grands will have. Hope you have a Happy Valentines Day, Dear Kitty! What a darling blog you have!!! Your granddaughters are beautiful women-in-training! Happy Valentine's Day to you! Your grandkids are too cute! 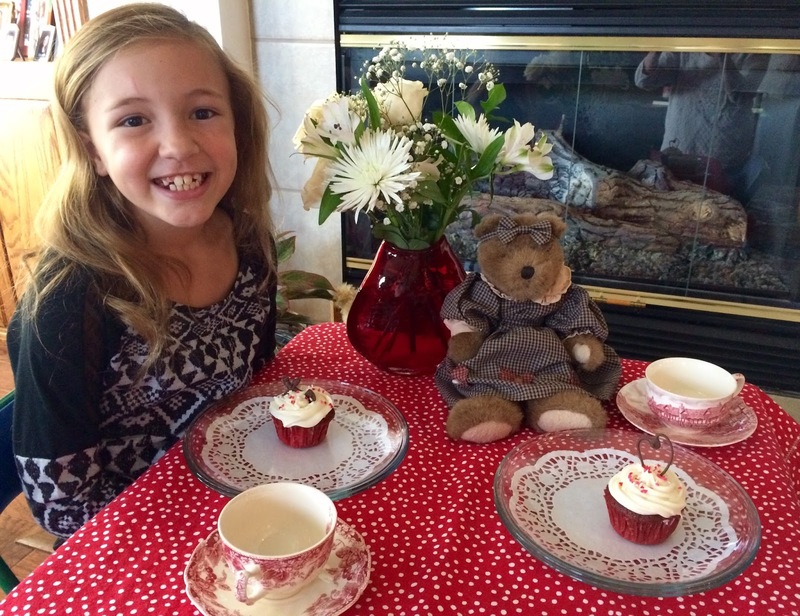 It looks like your sweet Cissy has inherited your love for tea, teacups, and baking! I'm getting whiplash from the crazy weather that we've been experiencing this month. On Saturday, the temperature was 50F (aka shorts weather in the Great North). Then we had a snowstorm and some ice pellets on Sunday! Super precious and yummmeee post! I hope you will link at The Fabulous party and 'Share The Love'. Leave a comment after you link to enter the Giveaway. New followers get 5 extra points! Hope to see you! Kitty, You are blessed to have your grands so close and be able to entertain and teach them. You make pretty and delicious treats. It's so much fun to watch all the activity. The weather is crazy and the flowers are so confused. Azaleas are blooming!!!! 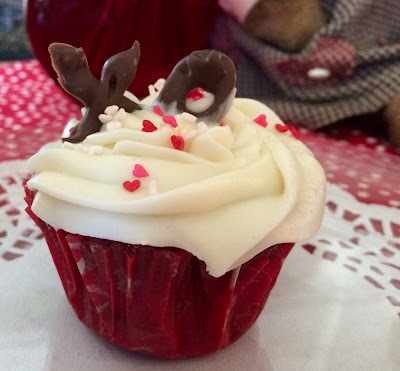 The cupcakes look awesome, and I love the little chocolate hearts and such on top. You have such adorable granddaughters! Cissy's cupcakes look great! She's on her way to being a talented baker. Cuteness overload - X 3!! Happy Valentine's Day, Kitty! How ❤ Lovely those cupcakes look !!! What a sweet smile Cissy has. She did a great job on those cupcakes. How special to share tea with you. The pretzel girls look pleased, as well. Happy Valentine's Day, Kitty. Love the idea of Uncle Bucks. Cissy did a great job. Have a Happy Valentine's Day! May love and joy always be yours. 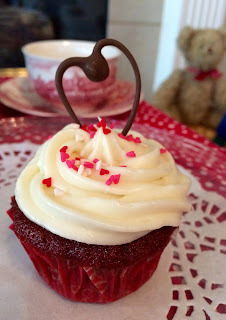 Nothing better than a Red Velvet cupcake on Valentine's Day! 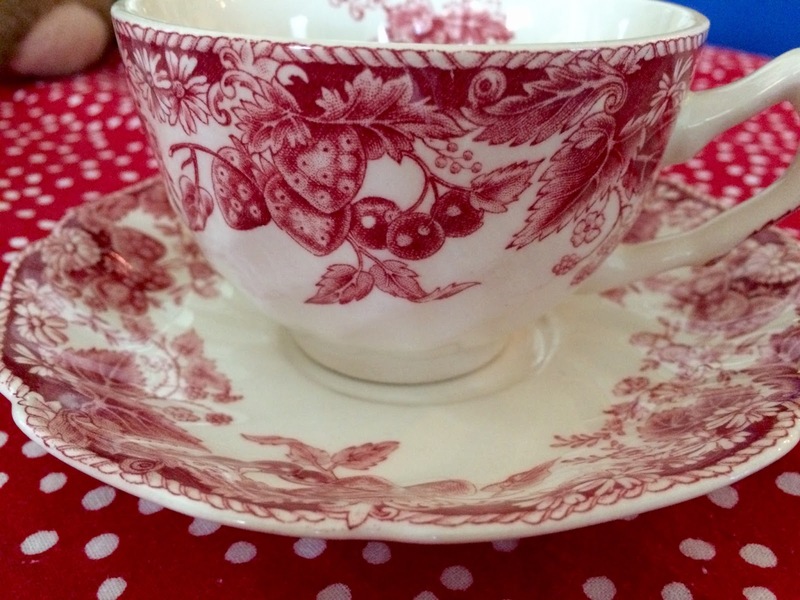 I had half of a red velvet donut at work earlier :) Everything looks so wonderful and festive... LOVE that teacup...the red transfer ware is so pretty! 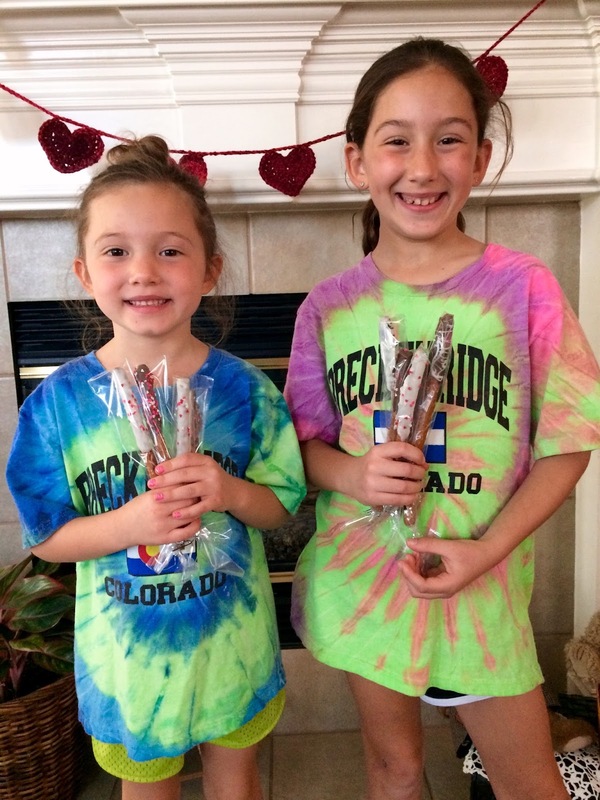 Enjoy the rest of your Valentine's Day with those sweet grand daughters! Hi Kitty, WOW the cupcakes are so beautiful and yes your darling grand did an amazing job. 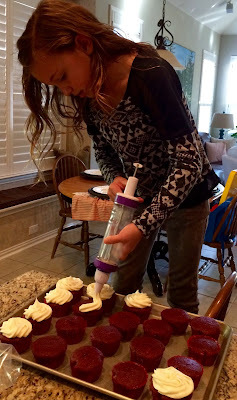 I love that she was creative enough to stand on a chair for better application of the icing. She certainly is a sweet little baker. That smile just melts hearts along with the other two grands that are adorable too. What fun for all at your house while learning great lessons for life. Thank you for sharing your cupcake recipe. I know these are delicious. Love the chocolate accents Cissy added. She is adorable! Those cupcakes are making me hungry. My Granny use to bake red velvet cakes for us and oh I love them! What a sweet tea party, Kitty. Oh, Kitty - this is splendid! What perfectly yummy delicious cupcakes they made....and I cannot even believe the decorating. I am humbled - my cupcakes always look awful. How cute! And I never thought of how those fancy little chocolate toppers are made! What a simple and festive way to decorate those cupcakes. She sure looks cute decorating them. Love the red transfer ware; it's perfect for so many occasions, including Valentine's Day! She is so cute and very talented for sure! Grandma is a wonderful teacher!! I love the chocolate toppers. Glad that the others got to have fun as well. Cute kids!! Thanks for sharing with SYC. I think you will have some master pastry chefs there! They are getting such wonderful training from you and the finished cupcakes look amazing. Thanks for sharing another "baking session" with the grands. What fun times at Nana's house! Such lovely memories being made. 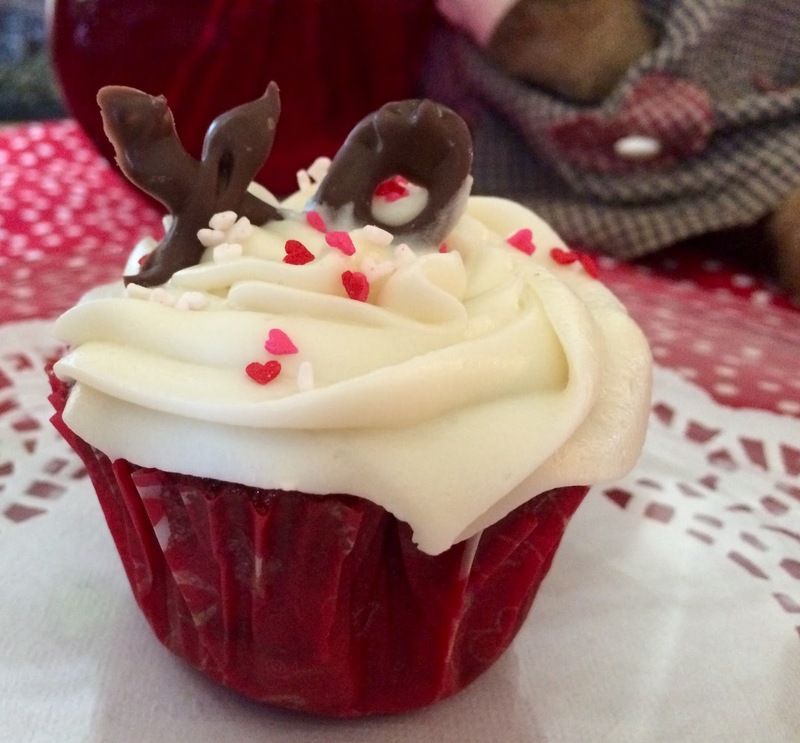 The cupcakes look wonderful and I love the homemade chocolate toppers! You are special, Kitty, and thank you for sharing another baking moment with all of us. So sorry to be late in responding to this precious post...it was caught in my spam filter. ??? What beautiful children & such impressive treats, too! I never thought to use my gun for icing...duh?! 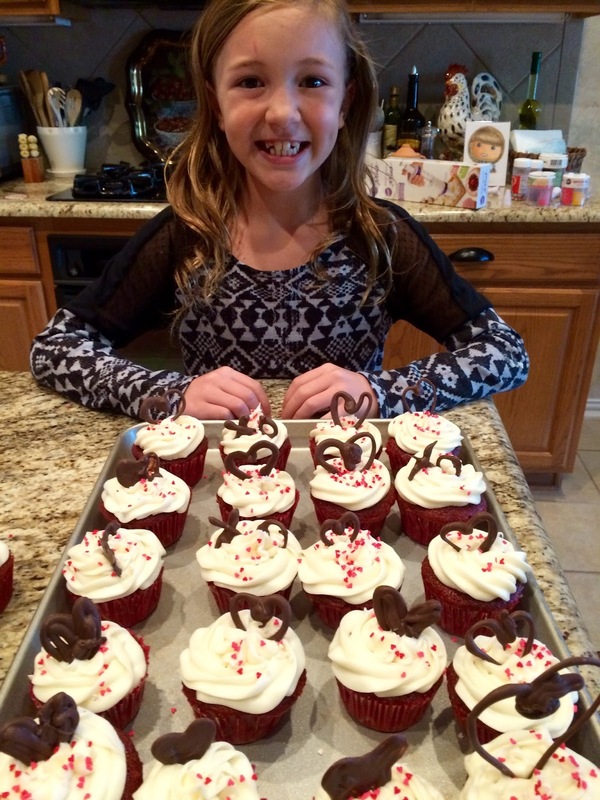 Well you are creating quite the little cooks and bakers…nice job. What a precious post! I just love the special moments you shared with your granddaughters, such wonderful memories you are making with them! Cissy is very talented, just love the little chocolate decorations she made, how fun! And that recipe for red velvet cupcakes looks amazing. I will be trying it! Always love tried and true recipes from my dear friends :) Hugs to you today! What wonderful memories you are making with your beautiful Granddaughters.Thanks so much for sharing your awesome Tea Party with us at Full Plate Thursday! Hope you have a great week and come back to see us real soon! Precious! Thanks for sharing at Dishing It & Digging It!